Bryan White on Friday went to Case Hospital to check on Moze Radio, he told the doctors to do everything possible to ensure that the singer is out of danger. He gave Shs 25million to help in settling Moze Radio's medical bills. He also told them to forward all the subsequent bills, he also warned those who are thinking of doing a Car Wash to raise money for Moze Radio to forget about it, he will take care of everything. He came cruising his black Tundra with DJ Michael, Weasel and Chameleone. The hospital was flooded with Bryan White supporters who literally took over the hospital, the security was overwhelmed by the numbers. 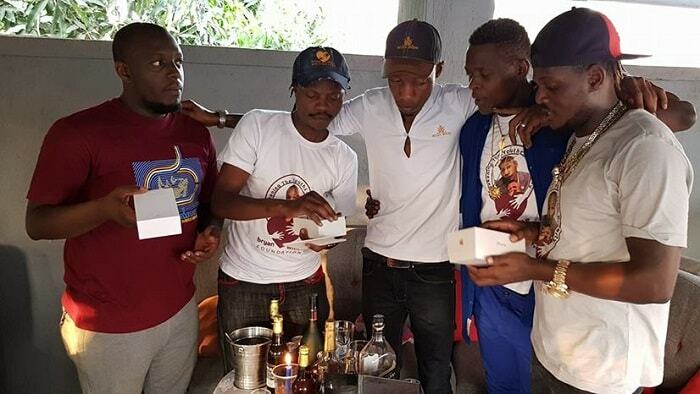 The good news though is that, Moze Radio, is now off life support machines and can hear and respond to all those around him, Chameleone noted. 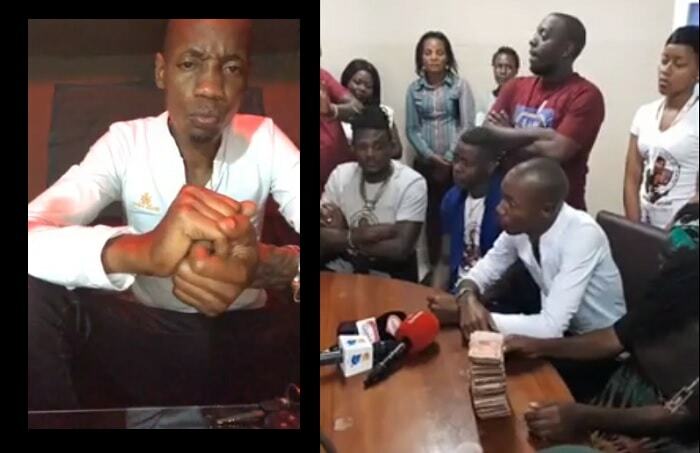 "After visiting mozey radio at case hospital, I went a head and gave my brothers king Michael and red banton iPhone 8plus and iPhone 7 plus respectively," Bryan White noted.. The loaded socialite added that he will be moving across the country with different artists, the list of the artisis is yet to come out, but Chameleone, Weasel and Pallaso are some of the artists he will be touring with.